At the opening of To Joey, With Love -- Rory Feek's beautiful film about his wife's final years -- he gives us a profound statement of faith. "We believed God would give us a great story. He did." It was not one the Feeks’ either expected or perhaps wanted, though, their story has moved and inspired millions of people around the world. In March 2016, country singer Joey Martin Feek died after a nearly two-year-long battle with cervical cancer. Her husband and musical partner, Rory Feek, recorded those final years on film and through his blog, This Life I Live. A gifted filmmaker, Rory had actually begun documenting his family's life well before his wife's cancer diagnosis. Six months after his wife's death, Rory has released To Joey, With Love, a tender love note to his wife and a window into the last two years they shared together. Set to Rory's narration, the film uses footage he captured during those years. The film opens at a turning point in the Feek's lives. At the peak of their country music career in 2014, Joey found out she was pregnant. They decided to put their career on the backburner and settle into a slower life on their small Tennessee far. The first half of the film shows the Feeks happily settling into country life. The candid moments are uplifting: a summer picnic with friends and family, Joey happily at work in her garden, Rory waking Joey with Indiana in his arms, a family vacation to Hawaii. There's also an equal measure of heartbreaking footage. If you followed the Feeks story closely, you've seen snapshots of these moments. As Joey's went through treatment, her body weakened drastically. After completing round after round of what doctors thought were successful treatments, Joey's cancer came back stronger. 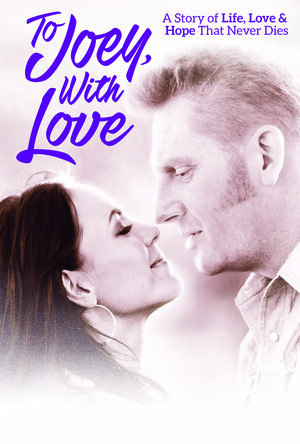 The closing section of the film shows Joey and Rory's final days at home in Indiana with friends and family. As heartbreaking as these moments are to watch, you are constantly reminded of Joey's unflappable spirit and heart. She truly was an amazing person, as is her husband, and if anything, this film will really remind you of that. Rory has crafted a film that is so much more than a moving tribute to his wife and family. This is a movie that reminds you of the importance of family. It reminds you of why you should cherish the simple things in life. The biggest takeaway is to have faith that love will carry you through anything.